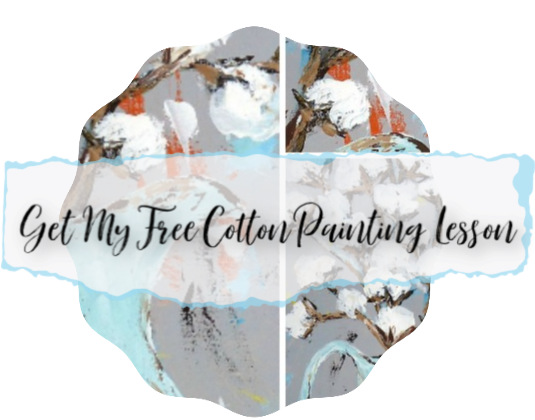 One of the most common concerns that I hear from customers who are thinking about joining my online painting group is that they don’t know if they have enough time to paint. My reply is…make time for art and you won’t regret it. We are all busy…like, super busy…worn out busy. Well, not even just busy but distracted, too. I find this especially true for women. We are care givers, home makers, wives, mothers, aunts, daughters, business women, diy’ers, and everything else under the sun. So how can we make time for one more thing? By finding little tiny bits of time to paint. You don’t have to commit to hours and hours of painting. Just carve out 10 minutes a day or one afternoon a week or one evening on the weekend to paint. Most of the time it’s hard to get started but once you start you will create a momentum and will begin to FIND little chunks of time here and there to paint. When I began painting, I was also homeschooling 2 young kiddos every day. I found time at night after dinner was done and everyone was settled down to work on something for a few minutes (or however long I could stay awake!) Those evenings became a time just for me that I looked forward to, but even more than that….those evenings of exploring and painting led me to the place I am in today with an online business and many, many paintings under my belt. The amazing Irish artist, and one of my instructors, Roisin O’Farrell says, “If you are not making art, you aren’t an artist.” Learning comes by doing and the more you paint, the better you will get at it! However, the more you put it off, the less you will paint and you will not grow in your technique and individual style or begin selling your work (if that’s a goal you have). You need to have a full body of work and lots of practice behind you before you begin selling our work to strangers. So if that’s your goal then you need to be painting up a storm! The more you play and experiment and do the work, the better your work will get! (that’s another topic for another day). So, here’s the gist of it all…. You have to make time for art. No one can do this for you. You won’t progress in your skills if you don’t do it regularly, and you won’t regret taking time to do it when you do. Set up a painting area that is easy for you to access, and leave your supplies out and handy for quick little spurts of work time. Work on something a little at a time. You don’t have to finish a painting in one sitting. Set a timer for 15 minutes and just paint until it alarms. Don’t over complicate things or get caught up in the idea that you are behind. Take baby steps and just keep moving. Start finding a few minutes on a regular basis and use that time wisely. Turn off distractions like your phone or the tv and really concentrate on just one thing during your painting time. The key to it all is consistent small steps. Take baby steps if you have to, but don’t stop. I remember a house full of people living with me and the only space I had to paint was in the kitchen with a stool and piece of plywood for a table. I now have an art room, you can do it! !